We know that finding the right general contracting team to help with the design and building plans of your bathroom remodeling project can be difficult. But at Best Windows, Inc., you can find a variety of services to help you go from planning through the construction of your new bathroom. Our contracting team is not only professional and passionate about their work, but they are also experienced in a variety of remodeling styles. From the contemporary or modern, to the rustic or eclectic, no matter what style of new bathroom you want in your home, we have the design and construction team that can turn your dream into a reality. Why should you choose Best Windows, Inc. for your bathroom remodeling projects? 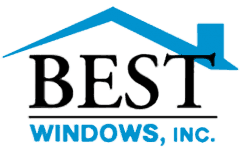 Best Windows, Inc. is not just the best windows store in Chicago. Nope! 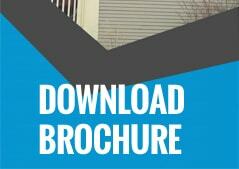 We also offer interior remodeling, exterior siding, and roofing services as well. We are fully licensed, bonded and insured to protect your property during an installation or remodel. We offer the highest quality workmanship, restorations and installations. Best Windows, Inc. is not a fly-by-night company. We have been proudly serving both residential and commercial clients for more than 15 years. We take your satisfaction seriously. We pride ourselves on our reputation and strive to offer affordable options for all homeowners and business owners. You won’t find second-rate materials with us! We put an emphasis on beautiful designs, while following home building codes for the best structural integrity. When you are ready to turn your bathroom from dark and dreary into spacious and well-lit, let us know. Our team can help you every step of the way, from design to creation. If you have any questions about our bathroom remodeling services, please don’t be afraid to send us an email anytime.